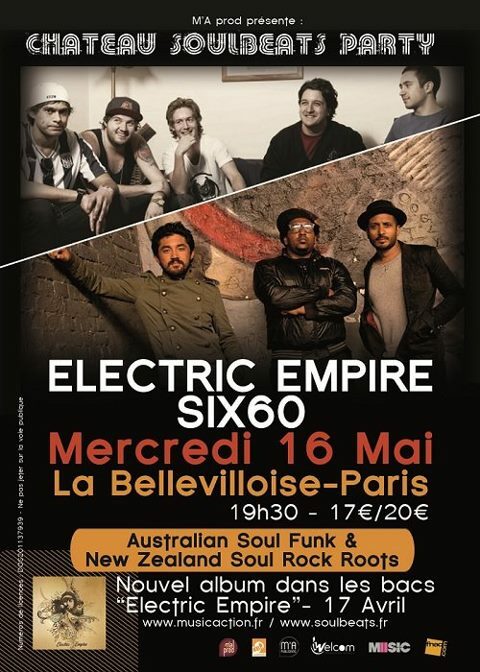 Great to see Electric Empire making a splash in France with their self-titled debut album and tour. Check out some of the great pieces that have been written about the guys over the past few weeks – in French! The guys played La Belle Villoise in Paris last night. Check out a great live clip of Yes I Will from their La Rochelle show earlier in the week.